I confess...that I made these cookies the other day and right after saying I wouldn't go crazy eating them I had 3 right as I was heading to bed one night. They got me. 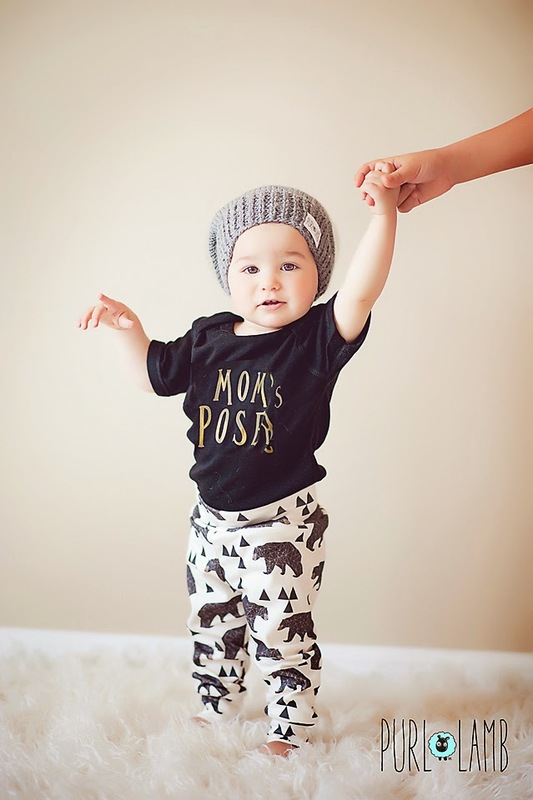 I confess...Purl Lamb has the cutest baby leggings/sweats. It's only open 2 times per month and one of those days is TODAY, so head on over to shop! I got Camden these adorable baby cub ones! I confess...these leather ankle booties didn't make this list, but I am lusting over them. I confess...that I tried to go to Ohio State's campus to watch the OSU game last Saturday night because Billy's family was in town, and shortly after being down there I realized nope, not cut out for this! I tried to stay as long as I could handle, but ended up leaving at halftime to head home. Half because I was tired and the other half because the game was just that.bad. I confess...we found our glider. Finally. And it feels oh so good. More on that later! I confess...it's my mom's birthday tomorrow and I have been down in the dumps the past few days. Always happens around this time. This year I'm a little more sad because I wish she were still alive to be here for Camden's birth and to see him (and our other kiddos) grow up. What are your current favorites right now? *Don't forget to check out my post about The Timeline Project, where you can keep all your goals and dreams in one place. Love that KS planner! And the mommy and me matching shoes! So cute!! I'll be thinking of and praying for you tomorrow! Love all these things! I am on the hunt for a new 2015 planner and am planning on posting my favs tomorrow. Kate spade is definitely up there! I used one this year and like it, but thought I might switch it up for next year. Those cookies sound amazing!! I don't blame you for leaving the game at half time... both for good reasons!! That's the mascara I'm using right now too- LOVE it! And that Buckeyes game Saturday... ugh!! I bought Weston some high top baby Converse, and they're ADORABLE!!!!! Love this list! Love that wine glass holder! Hang in there this week. I know your mom is looking down on you and blessing that sweet little boy in your belly! Oh I can't wait to hear what glider you picked! We're having the same debate right now! Those booties are beautiful. They look perfect for fall.